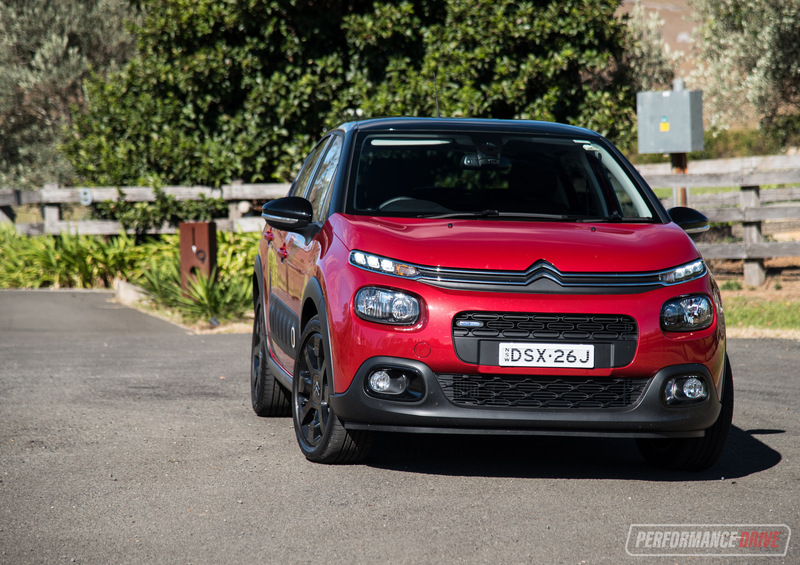 Say hello to the 2018 Citroen C3. It’s a cute little thing, isn’t it? 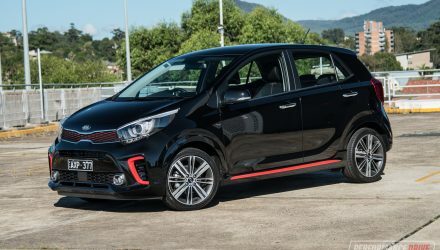 This is the French company’s answer to vehicles such as the Toyota Yaris and Mazda2, and, more directly, the premium Audi A1 and Peugeot 208. Just one variant line is on sale in Australia to make things easy, called, cheerfully, the Shine. 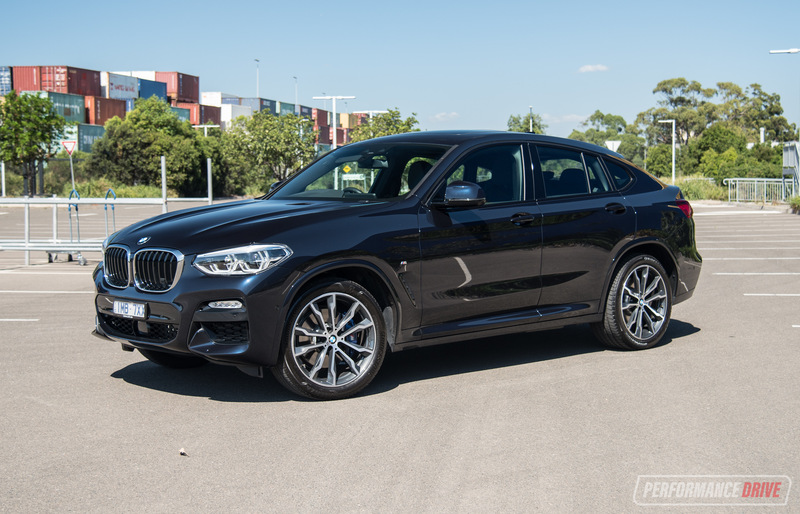 It comes with a peppy 1.2-litre turbo three-cylinder engine generating 81kW and 205Nm, sent through a six-speed automatic as standard. 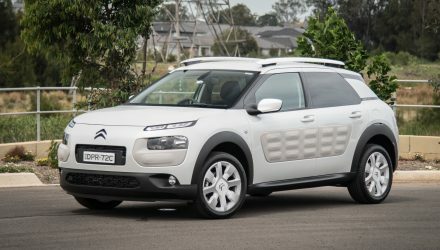 Prices start at $23,490 (excluding on-roads), however, Citroen Australia is currently offering the C3 from $23,990 drive-away for all MY18 models, while stocks last. 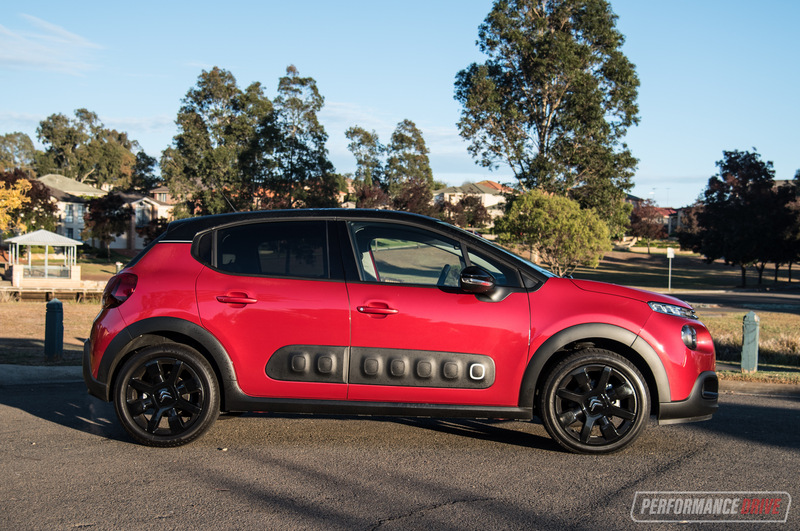 Citroen, as usual, has created an interesting and rather entertaining interior for the C3. Front passengers are presented with big wide chairs that seem like they are lifted straight from a modern outdoor furniture set. Side support isn’t quite as prominent as most seats in this segment, but the cushioning is soft and we love the two-tone colour scheme. 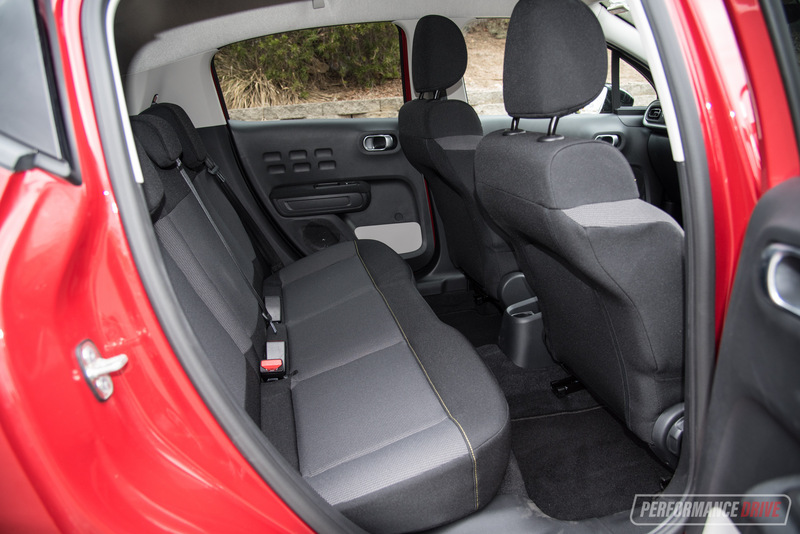 There’s a similarly-themed bench seat in the back which provides acceptable room for two adults or three children. Storage solutions are provided by big door pockets in the rear, with just a single cup holder in the back of the centre console. 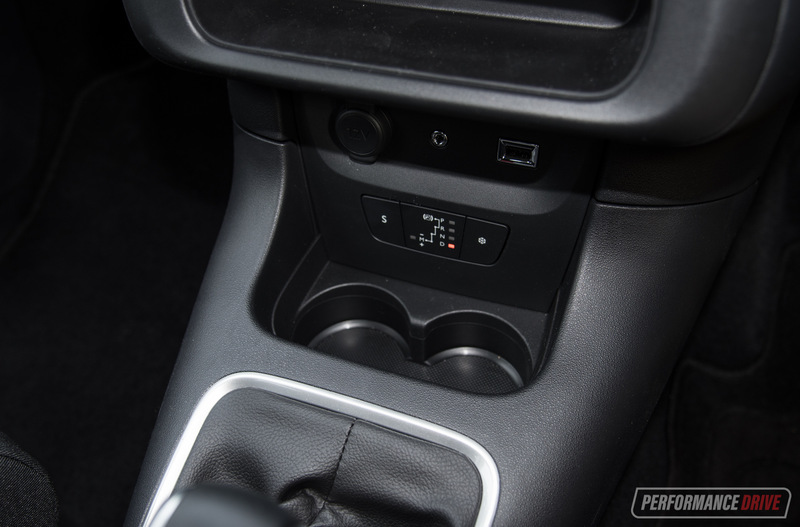 Storage is more of a problem in the front, with typically-French cup holders capable of managing a short black and that’s about it, and no centre console box. 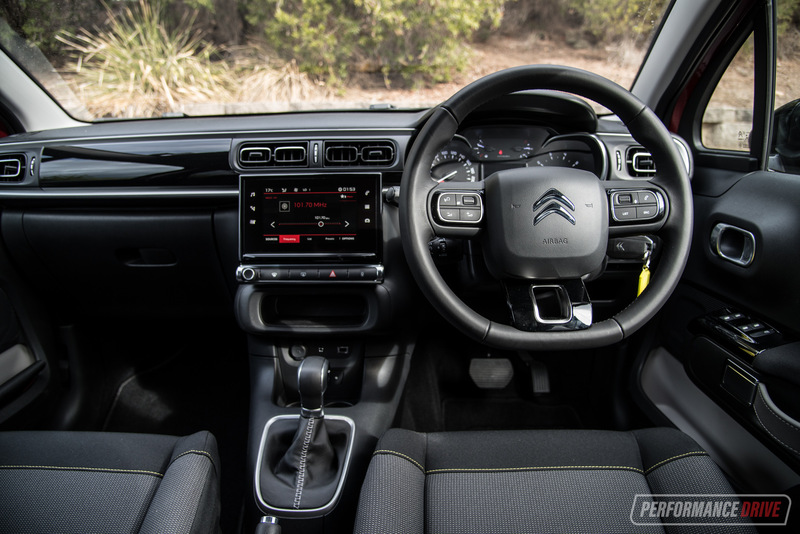 The C3’s platform-sharing sister, the C4 Cactus, does feature a convenient fold-down centre arm rest with a neat container big enough for your phone inside – we’re not sure why this isn’t offered here considering the rest of the interior is very similar. 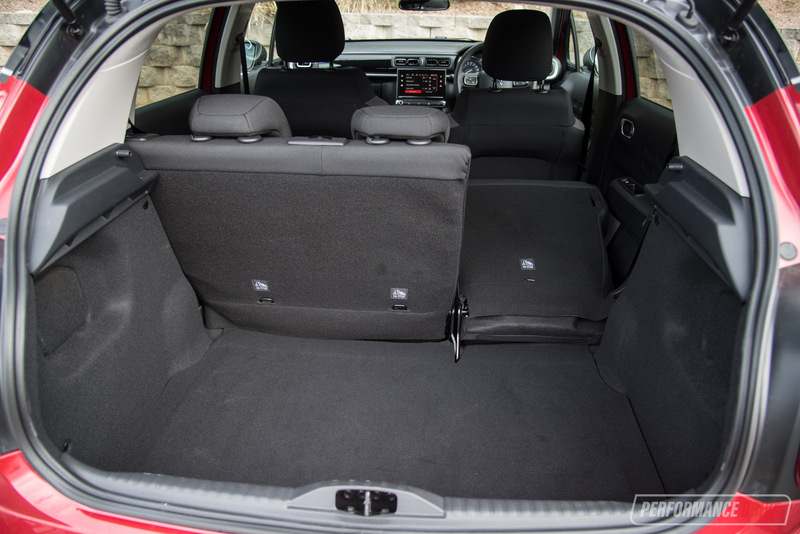 Cargo space is rated at 300 litres, or 922L with the rear seats folded down. They don’t fold completely flat which means it can be a bit difficult to slide bulky items in. 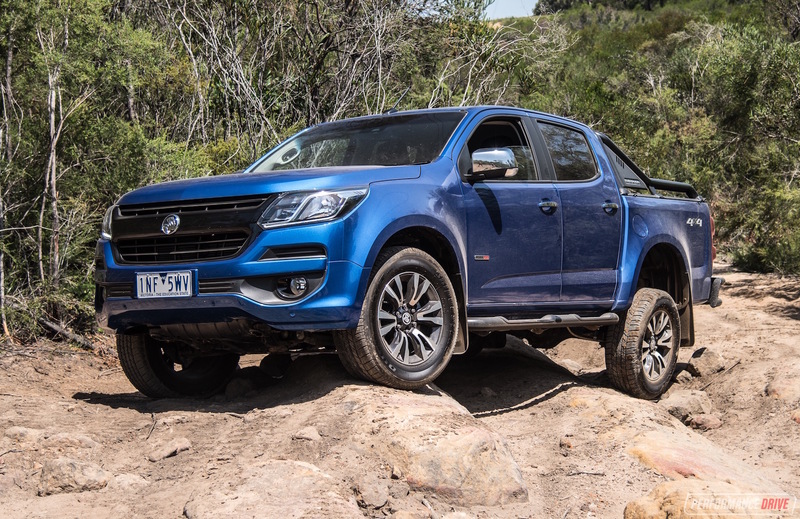 If that’s not enough space, the towing capacity is rated at 450kg, braked and unbraked. 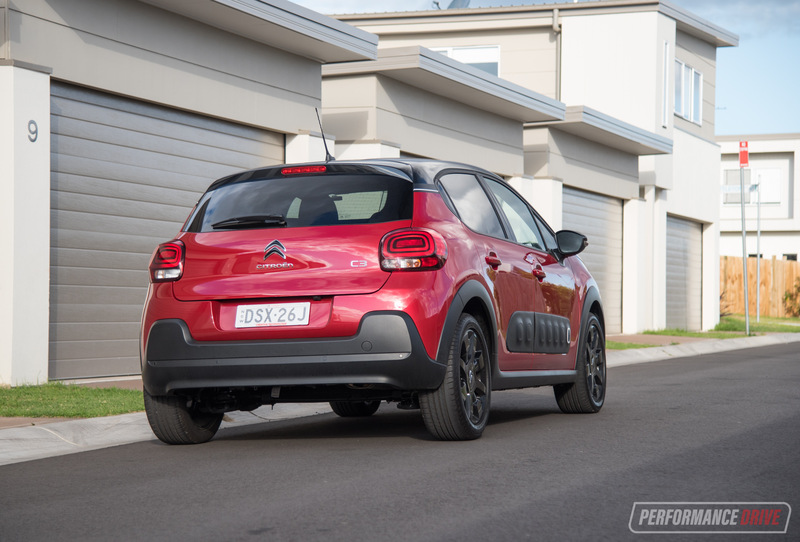 What we love most about the C3’s packaging is the character and the level of standard equipment. Check out the cool textures and patterns everywhere you look. 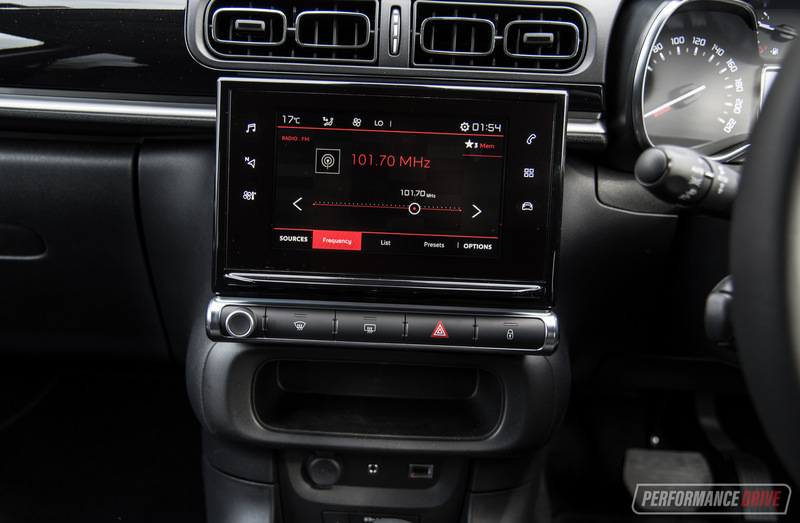 Up on the dash is a 7.0-inch touch-screen media interface with Apple CarPlay and Android Auto connectivity as standard. 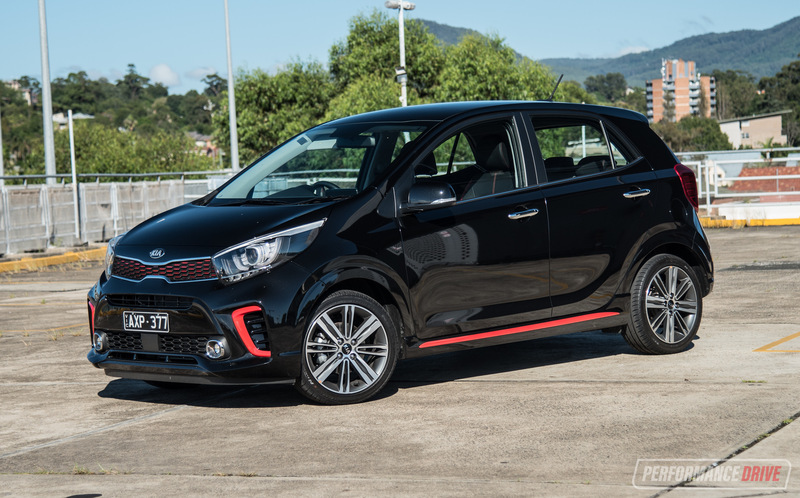 There’s also a rear-view camera as standard and digital radio, and climate control air-con. Functionality within the touch-screen is pretty good, although it can be annoying to have to make multiple selections to reach common functions. 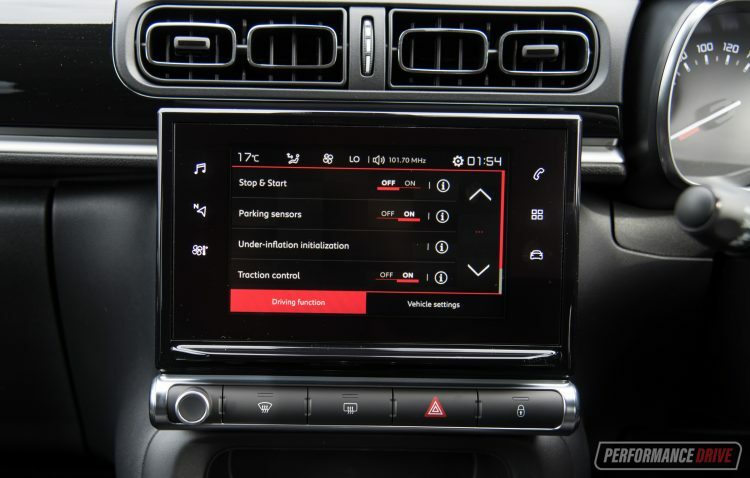 For example, turning off the stop-start system requires jumping into the vehicle settings, and then scrolling down a page. Fortunately, Citroen has fit a proper volume knob separate from the screen instead of going with button volume controls like some rivals. Have you ever driven a car that makes you smile? Driving the C3 can. 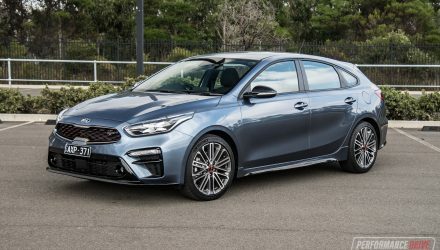 Most of the modern hatchbacks on the market at the moment are quite serious and lack personality. This has lots of personality, making even quick trips down the shops an entertaining experience. 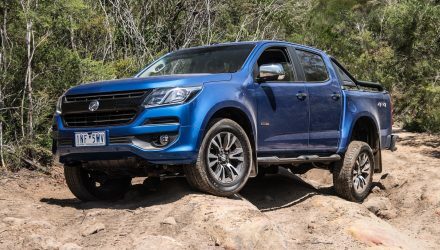 The way the 1.2 turbo three-cylinder buzzes and thrums along, and the way the soft and comfy suspension playfully gallops over Australia’s shoddy roads; it’s all lots of fun. 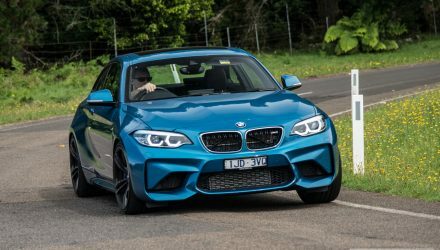 With just 81kW on tap you’re probably expecting it to be very slow. But actually, it is surprisingly brisk. We clocked 0-100km/h in just 10.12 seconds, which isn’t bad at all for this style of vehicle. 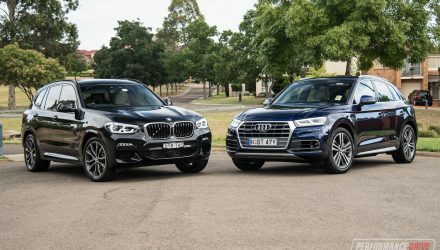 And thanks to the car’s tare weight of just 1067kg, the engine doesn’t have to work hard to pull through the higher gears; it’ll surge up from low speed using third gear and lift you up to 60-70km/h with no lag. 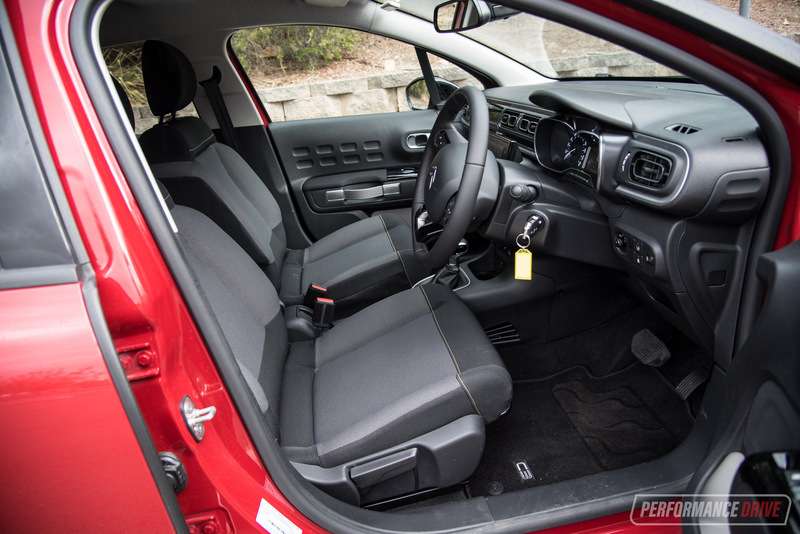 There is an odd delay with the auto transmission as it changes up through the gears. It almost feels like it’s a single-clutch auto. 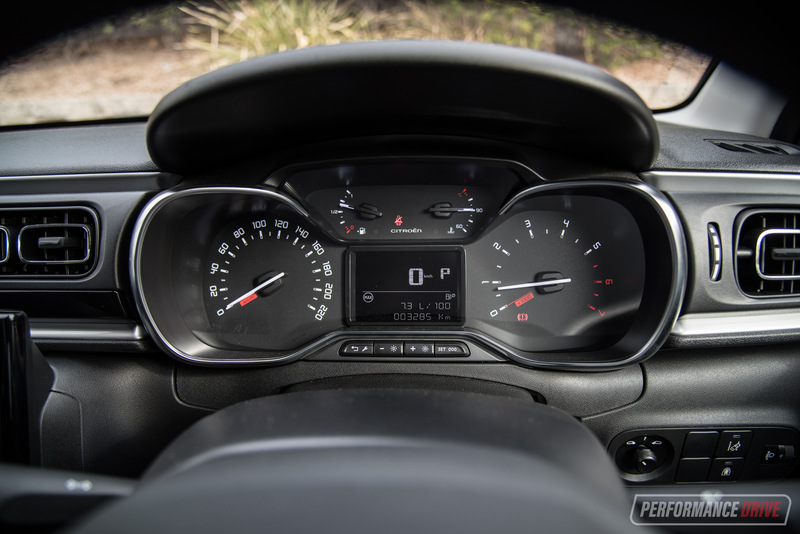 At low speeds the upshifts are very smooth, but it can feel jerky under moderate-tempo driving conditions. 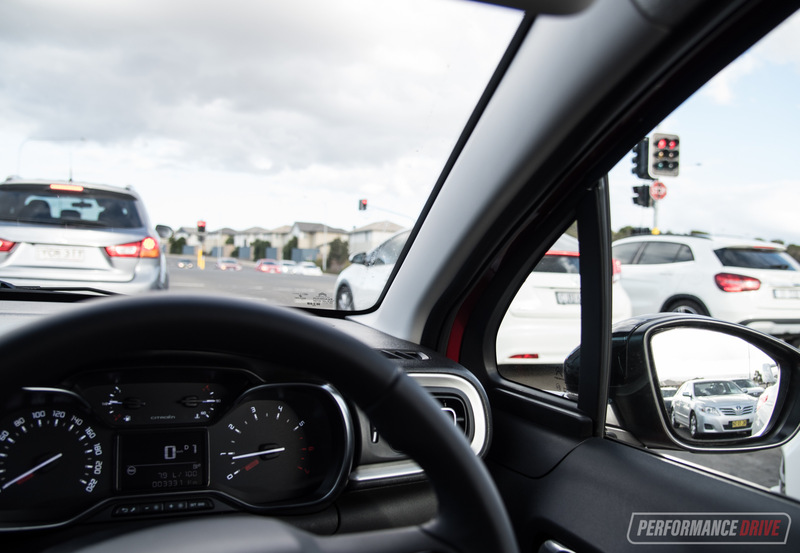 Switching into S mode and driving with more enthusiasm does seem to help speed up shift times. 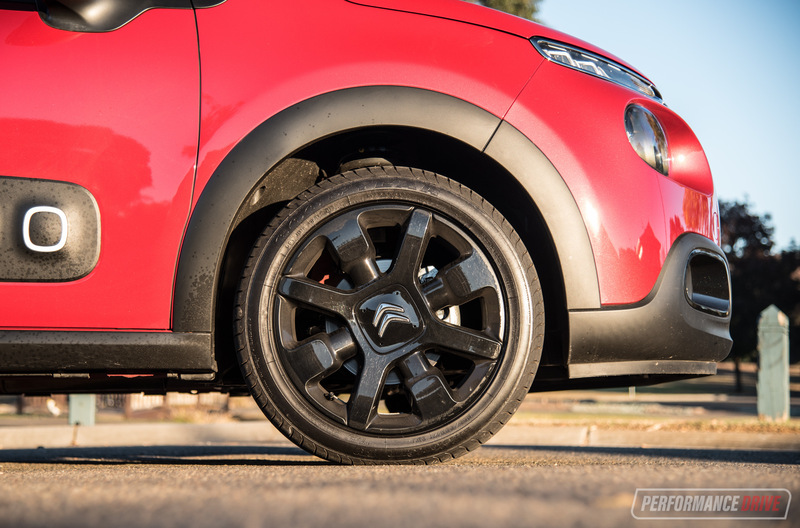 When it comes to corners, the C3’s comfort-oriented chassis and basic rear-end suspension does fall apart a little. 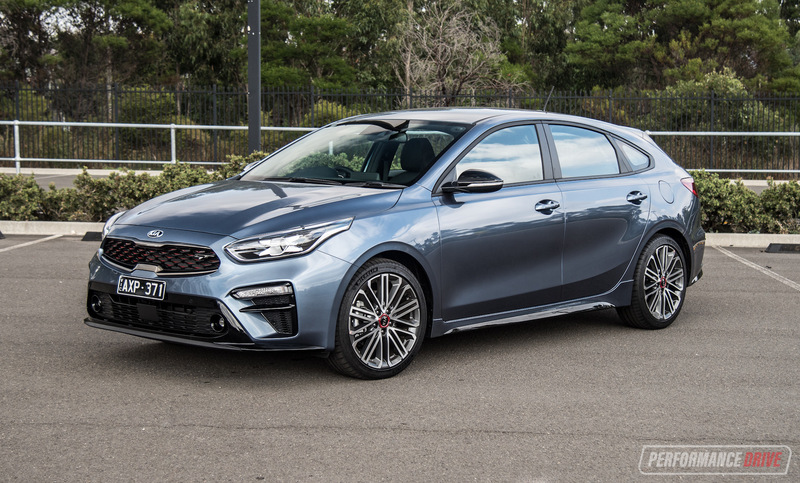 If you’re expecting hot hatch agility you will be disappointed. However, if you take a different approach and always have that comfort focus in the back of your mind, it is easy to cut it some slack. 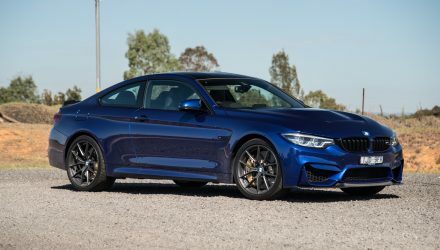 This car is not designed to attack a twisty mountain road, but if you take it at its preferred pace it can bring you a lot of joy. It’s like driving in a cartoon. 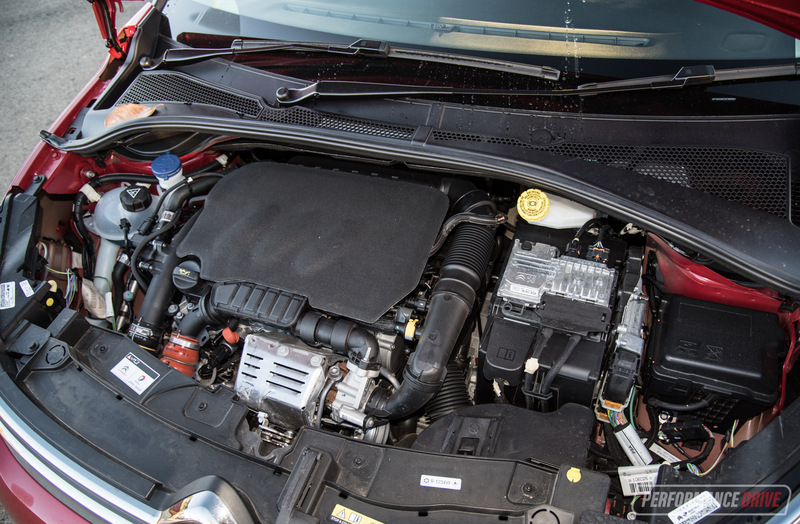 Another area that does bring a high level of satisfaction is fuel consumption. This thing is awesome on fuel. 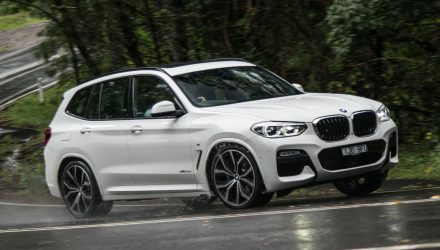 During our test it recorded an average of about 7.0L/100km, with lots of S mode driving, while the official consumption rate is just 4.9L/100km. 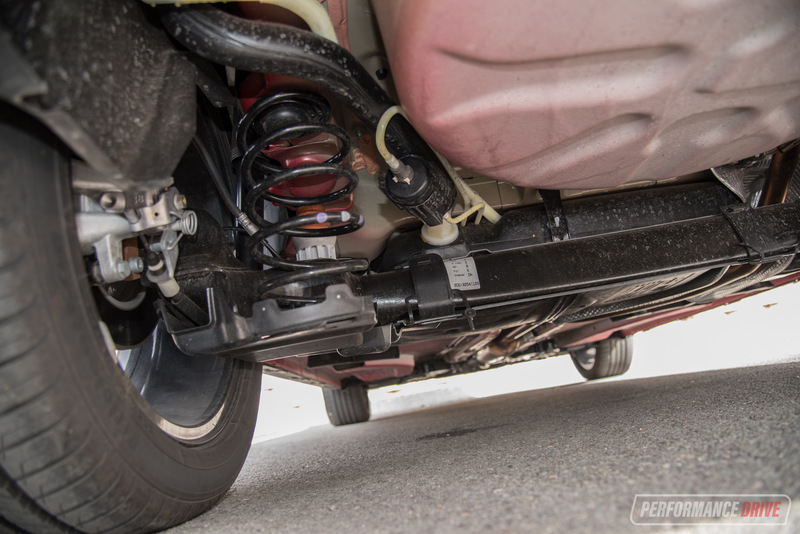 We see no reason why you couldn’t reach around 5-6L/100km after extended use. A lot of this is thanks to that very low weight figure. 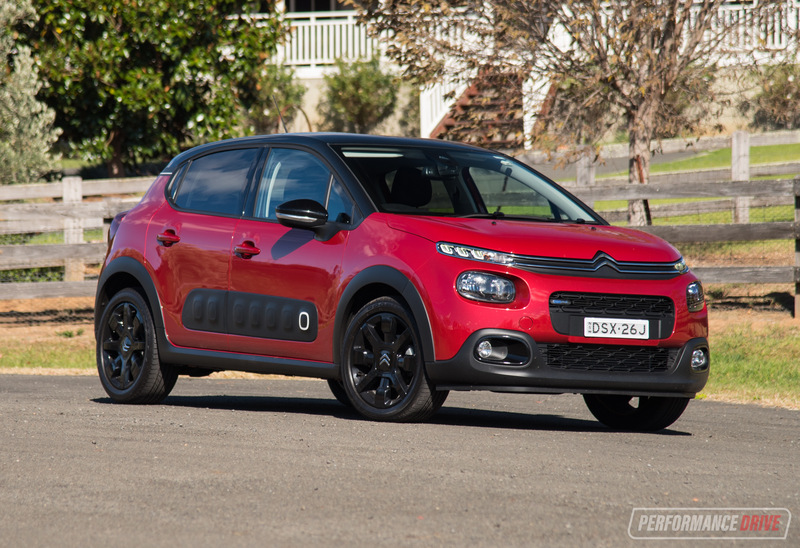 In the city, perhaps where this car will spend most of its time, the C3 is perfect. The high-mounted seats give you an excellent view of the traffic around you. Visibility is also outstanding, especially through the A-pillar thanks to low side mirrors and a small quarter window. With the extremely low kerb weight the engine actually feels quite zippy in tight urban streets. 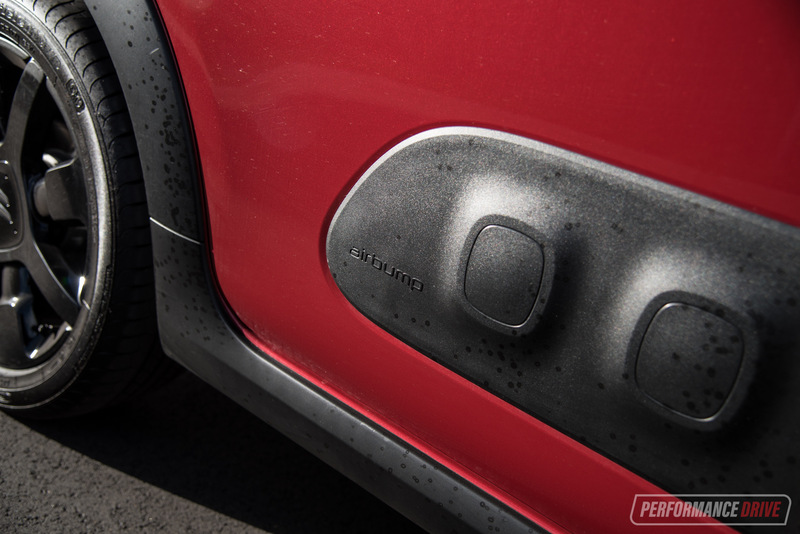 You can use the gear selector for a semi-manual mode too for more fun. 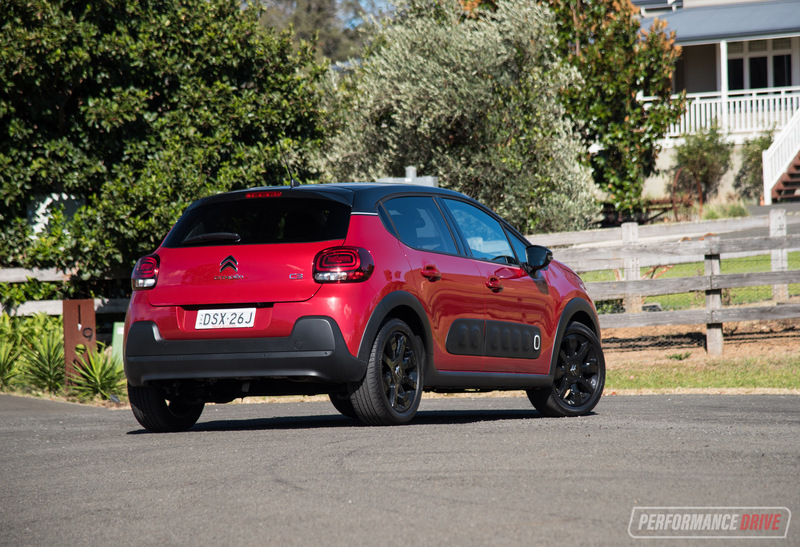 In fact, if you’re regularly zipping around the city, we’d recommend the C3 as one of the most fun vehicles in this segment. We really like the latest Citroen C3. 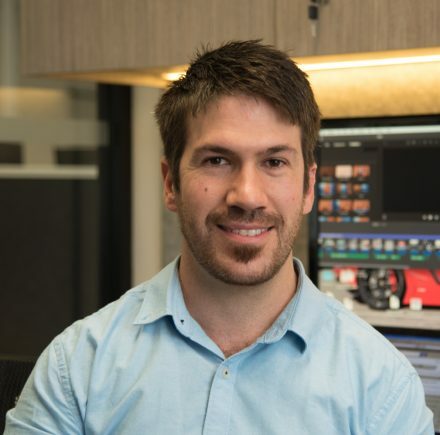 Sure, there are some flaws, but the amount of character and cheerfulness offered gives it a unique and refreshing charm in this pretty boring market segment. 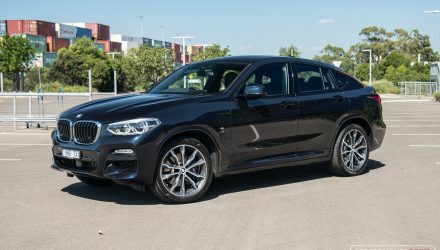 Great fuel economy, standard equipment, and fairly sharp pricing and an extensive warranty should help to win over plenty of buyers. Although it can be a lot of fun to drive in the city, we enjoyed spending a lot of time out in the country during our test. 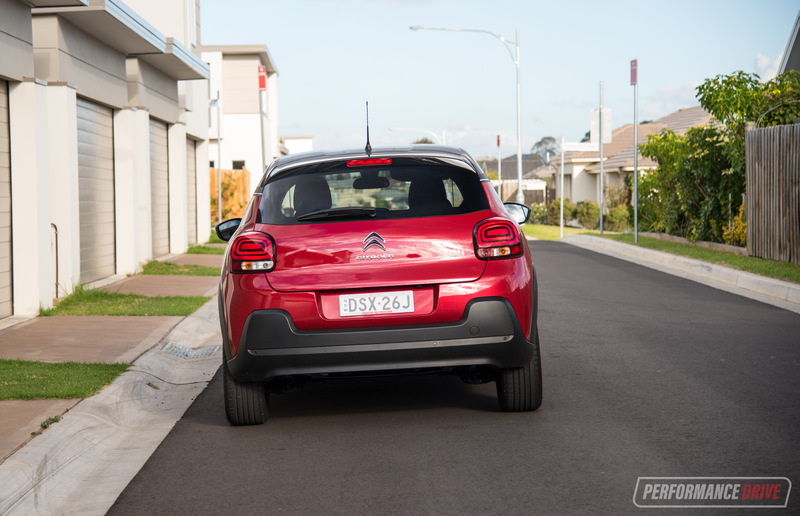 It has a tendency to make you feel like you’re driving around a quaint French village, right here in Australia.